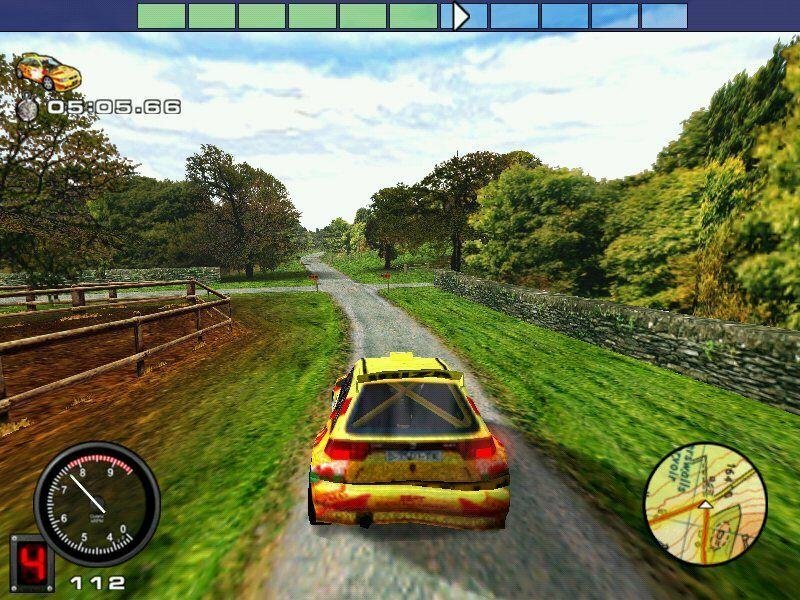 Mobil 1 Rally Championship simulates a six-round championship at a number of far-flung locales throughout Britain. 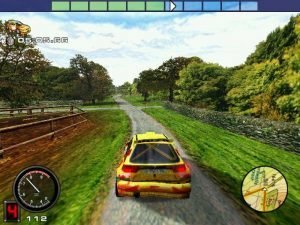 Each event of this respected series consists of half a dozen point-to-point stages that can vary in length from a short two-mile jaunt in Langton, Scotland, to a punishing 27-mile run through the forests of Pundershaw in northern England. 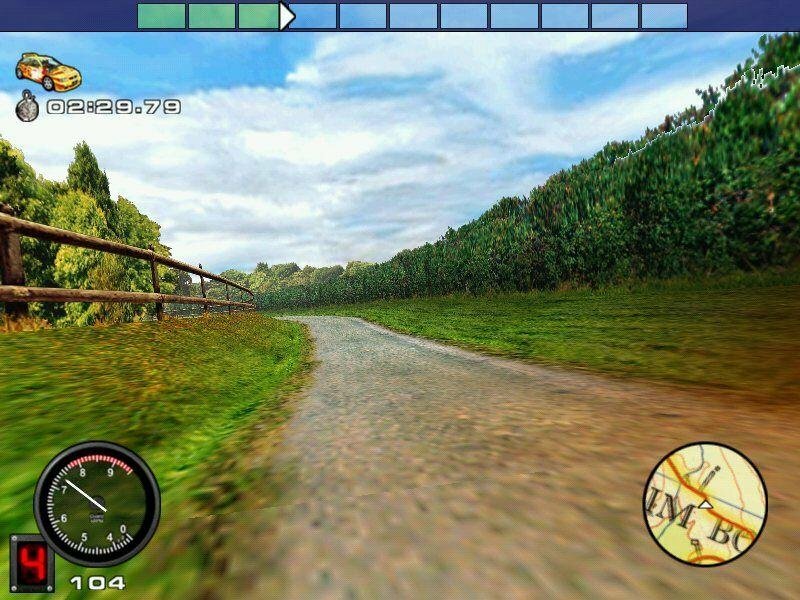 Magnetic Fields used up-to-date geological survey data and extensive video footage to ensure that the more than 400 miles of serpentine British real estate was rendered with complete authenticity. 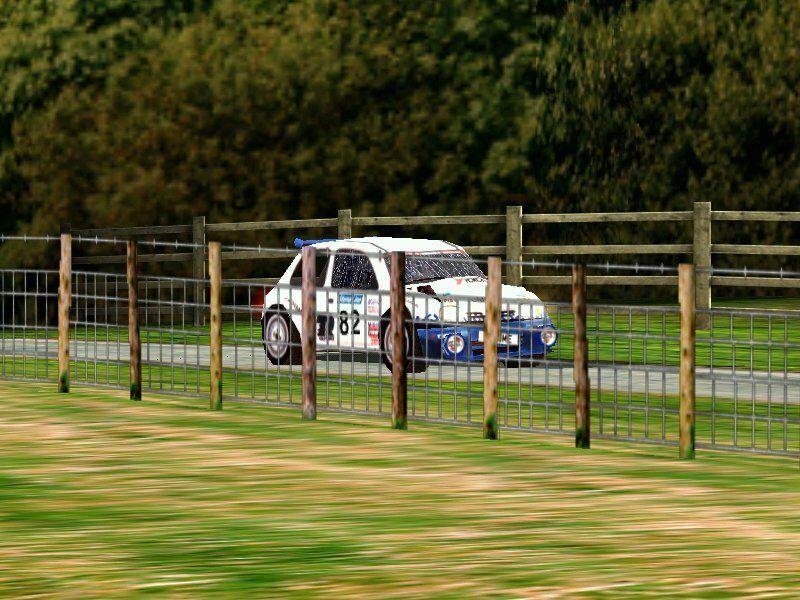 The individual cars consist of 23 different models from manufacturers such as Renault, Mitsubishi, and Vauxhall. 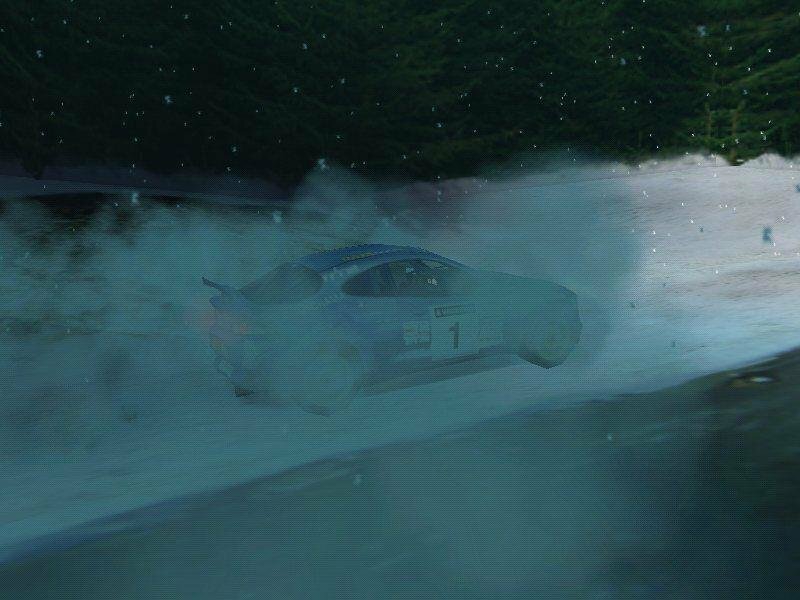 Each has been painstakingly detailed, from the correct placement of sponsorship decals right down to the working windshield wipers. 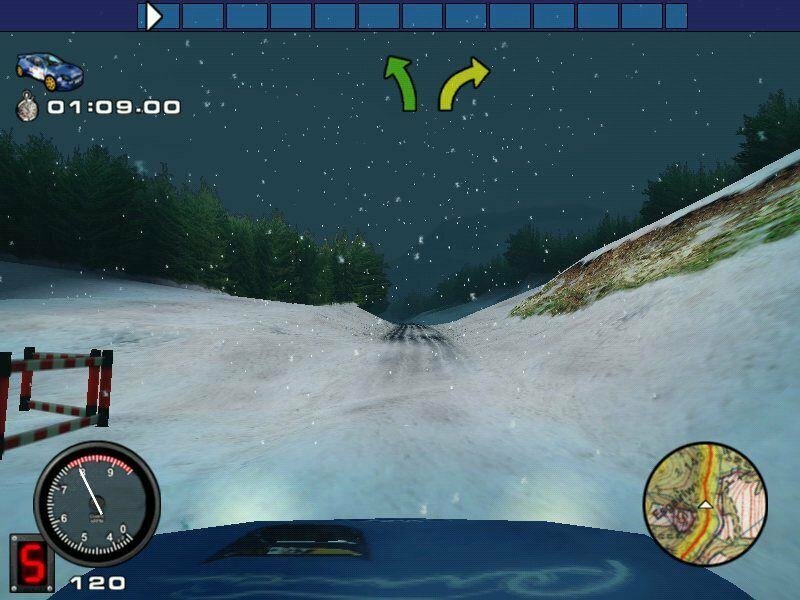 Interior treatments are equally well done and feature a fully animated driver and co-driver as well as a host of different viewing perspectives. 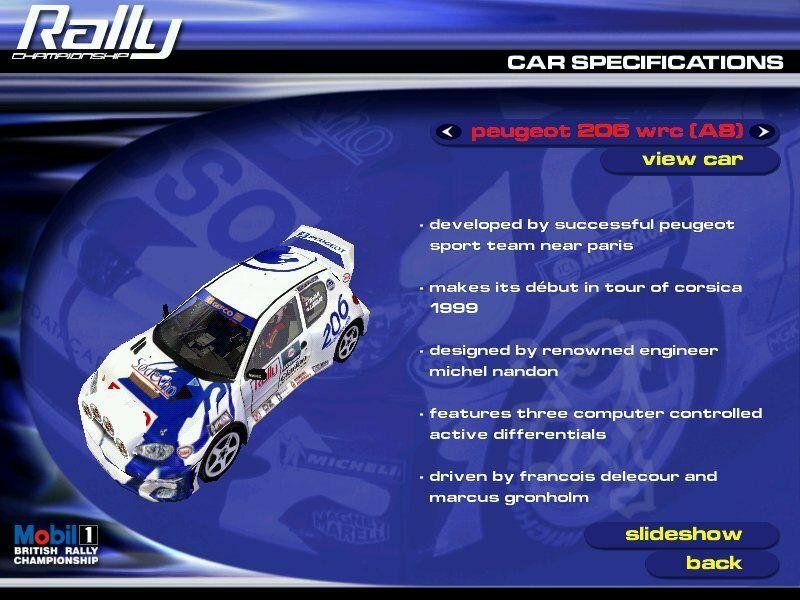 A superb video replay suite has also been tossed in to let you view the action from – count ’em – no less than 47 different camera angles! 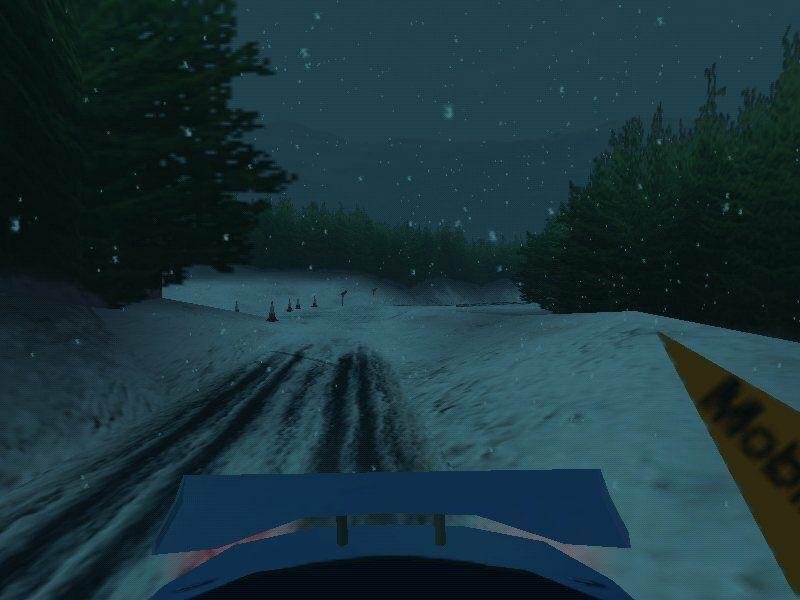 Whether you go for a modestly powered FWD machine or one of the sim’s bonus 4WD road rockets, the incredible sense of speed and control gives Mobil 1 Rally a visceral punch. 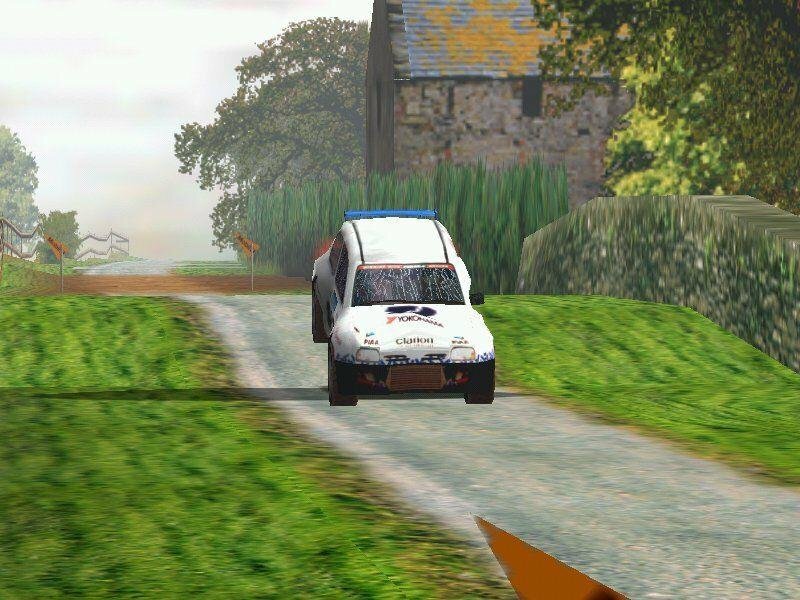 You buck and weave your way through the unforgiving English countryside while listening to your co-driver bark out warnings of upcoming corners and hazards. 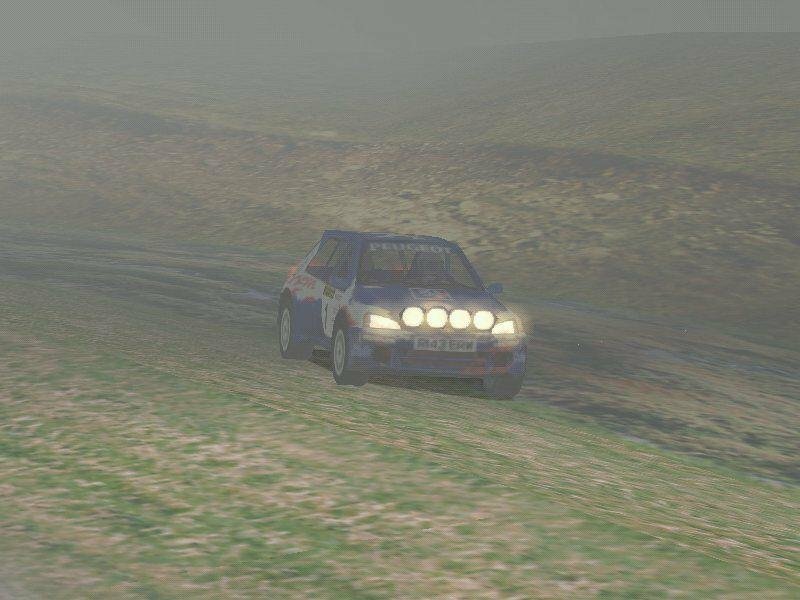 Apart from some inaccurate off-road behavior (where hitting the grass slows the car unrealistically) and some rather optimistic damage modeling, the sim’s challenging physics engine is absolutely first-rate. 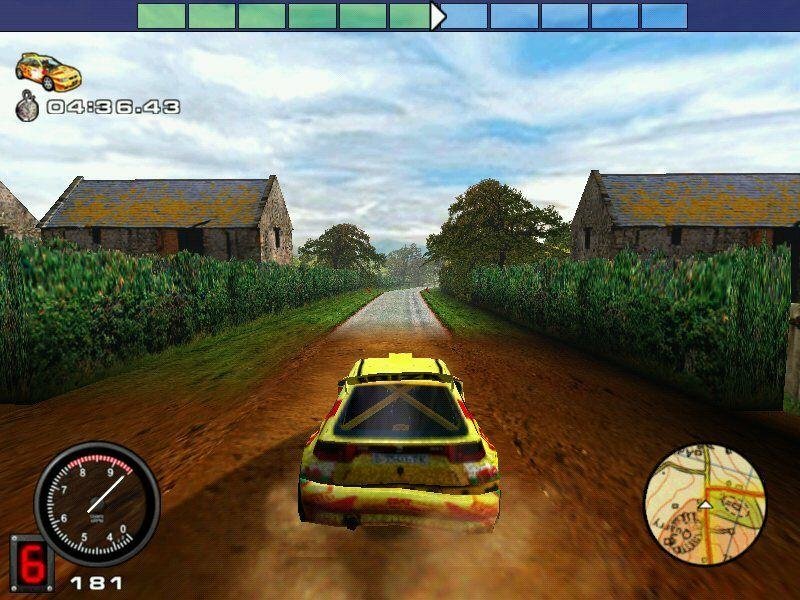 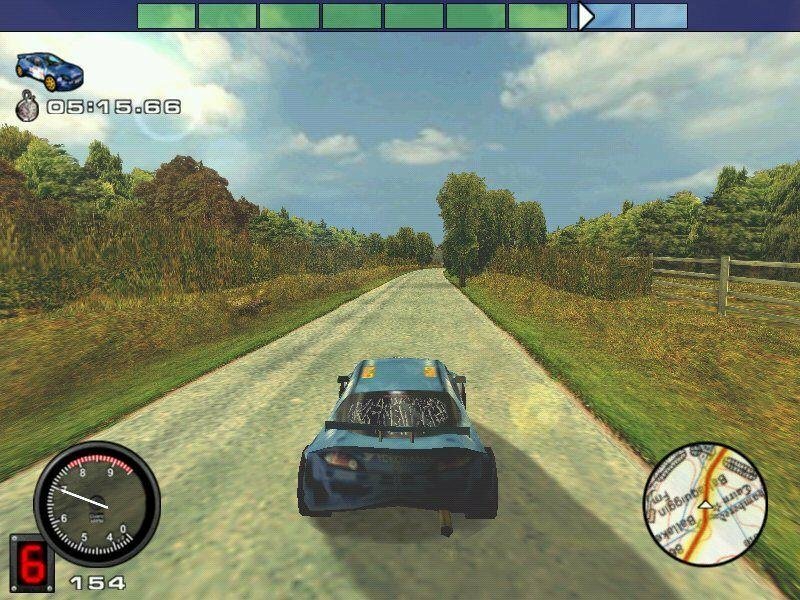 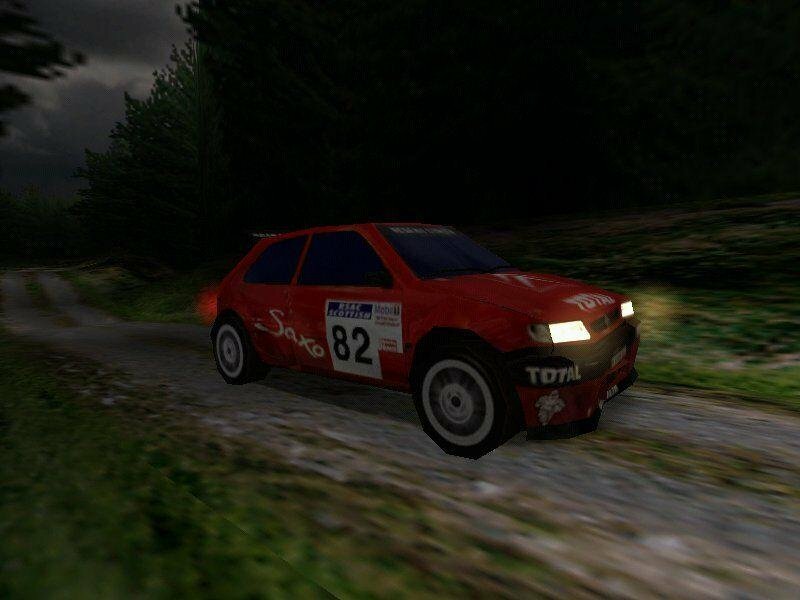 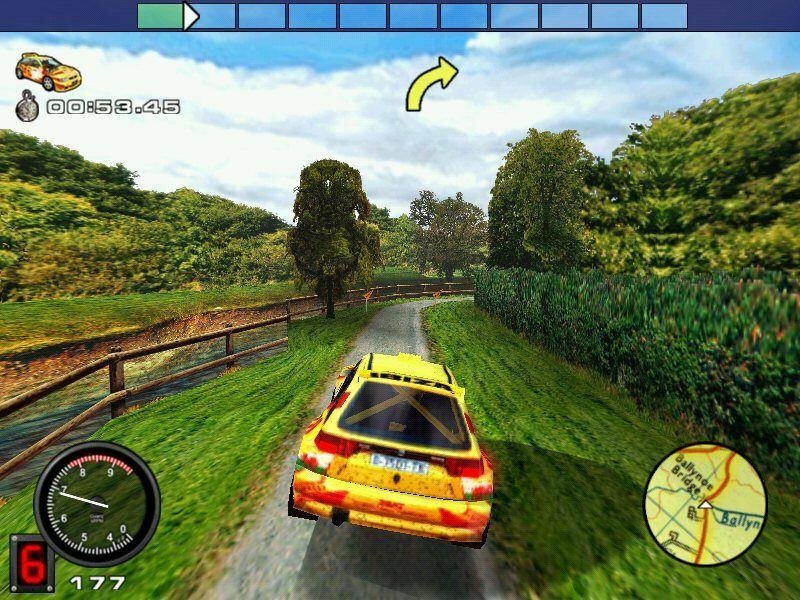 Mobil 1 Rally offers four different modes of solo gameplay as well as a variety of split-screen and turn-based modes, on a single PC or over a network. 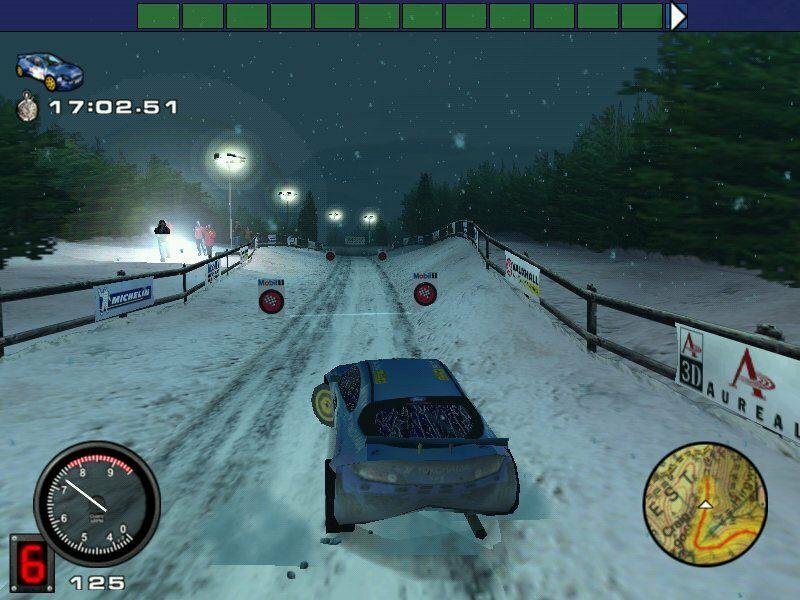 To sum up, Mobil 1 Rally Championship is great game for rally fans to sink their teeth into. Although it’s not for the casual racer, the purity and intensity of the driving experience should ensure the game a long lease on the hard drive of any serious simulation buff.